It’s A Beautiful Day In The Neighborhood! – Wait, I Know This! I found Tim Lybarger on one of my favorite websites Mental Floss. He is a lover of all things Mr. Rogers Neighborhood. I remember vividly as a kid of the 1970’s tuning in for that show regularly. Daniel the Tiger was my favorite and it does my heart good to see my little ones watching the NEW version of Daniel Tiger’s Neighborhood. After reading Tim’s article complete with 24 rare photos from the set I had to pass it along here. 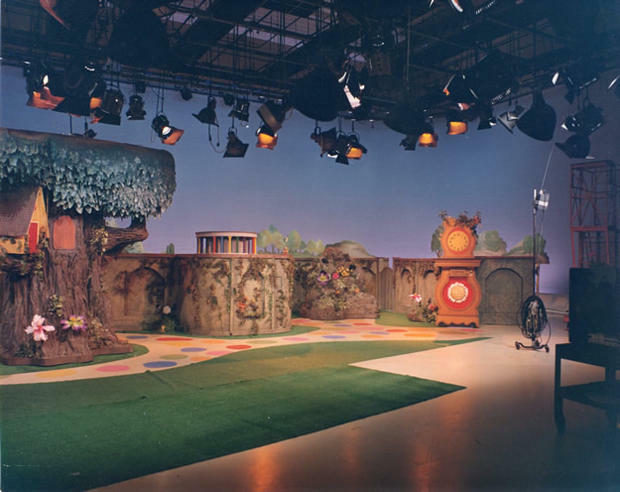 It brought back a million memories and I think I’m going to have to do a show soon with a cast member sharing all the behind the scenes memories. If you want to see the TRUE Fred Rogers watch this YouTube video of Fred Rogers’ appearance of The Tonight Show starring Johnny Carson. It’s crazy how the audience was so conflicted….do we laugh AT him or smile at his shear innocence and his love for kids. Anyway, take a trip down memory lane in the neighborhood with the article from Mental Floss! . Click HERE.